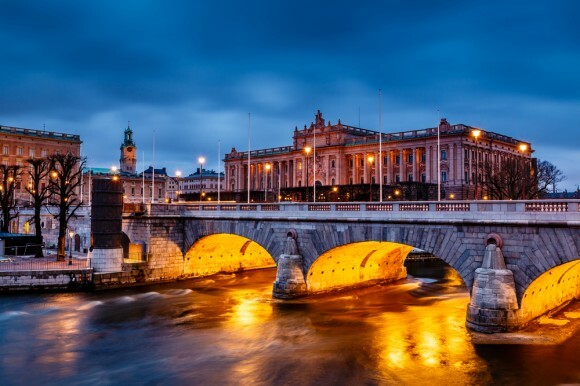 Sweden is one of the great highlights of northern Europe. The standard of living is among the highest in the world and the scenery some of the most beautiful. 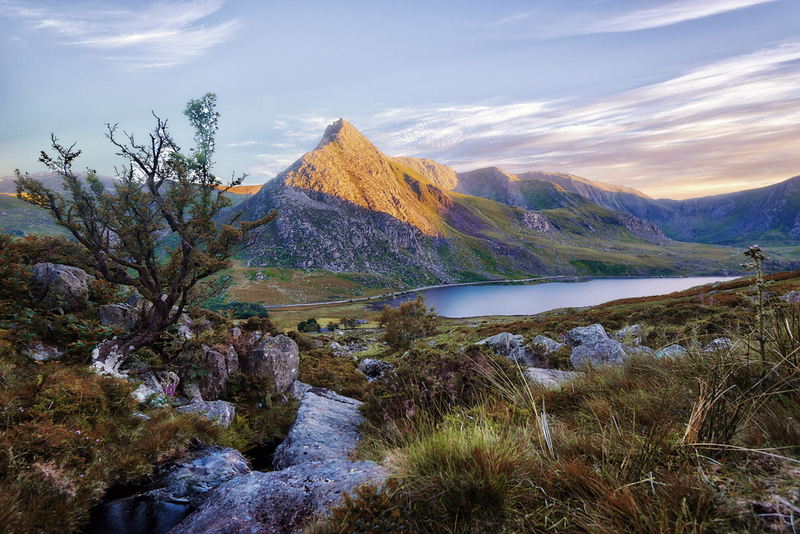 The cuisine can be quite a surprisingly pleasant experience, particular highlights include fresh and cured fish, reindeer as well as delicious cakes and buns. Its reputation as hugely expensive might be slightly undeserved, too. It’s quite possible to get a decent meal in Stockholm or Gothenburg for a reasonable price and while drinks are pricy, it still costs significantly less than neighbouring Norway. Don’t be put off by the weather, either. Yes, the winters can be long and cold but the country is extremely well equipped and experienced in dealing with difficult conditions. And don’t forget that this means summer days are equally long and glorious and spring is a terrific time to visit, too. Sweden lies in the rain shadow of Norway, so when the sun is out, it’s likely to stay that way for some time. There are no border controls between Germany and Sweden but travelling by train usually means passing through Denmark. If you do take this route, it’s essential to make sure your visa, if you have one, is valid in all three countries. There’s an overnight train from Berlin to Malmö and Frankfurt airport has flights to Copenhagen (Denmark), Gothenburg and Stockholm. Another option is to traveling by ferry. Travemünde, Sassnitz and Rostock all sail to Trelleborg regularly, while you can reach Malmö from Travemünde and Gothenburg from Kiel. While public transport in Sweden is excellent, having your own car can be useful if you want to go off the beaten track to exploring the national parks of Norrland. However, given the distances involved – not to mention the challenges of driving in what can be very difficult conditions in the winter – it may be better to limit your trip to one or two cities during your weekend. Sweden’s capital city spreads out over 14 islands in Lake Mälaren and looks out proudly to the Baltic Sea to the east. The grand public buildings, palaces, rich cultural history and museums beautifully display its 700 year-old history. Nowhere is this better illustrated than in the Old Town (Gamla Stan); expect cobblestone streets, crooked but beautifully preserved buildings, the Royal Palace, gothic churches and excellent cafés, bars, restaurants and Swedish design-ware shops. But it’s perhaps Sweden’s more recent history that has been hitting the headlines of late – visit the newly opened ABBA museum – a permanent exhibition at the Swedish Music Hall of Fame, just a short bus ride from the city centre. You’ll be humming their greatest hits all weekend! Get your fix of caffeine at one of Stockholm’s many cafés before trawling the boutiques, shops and stores of upscale Swedish and international design boutiques of Östermalm, and discover independent Swedish labels, vintage and retro shops and boutiques in Södermalm. 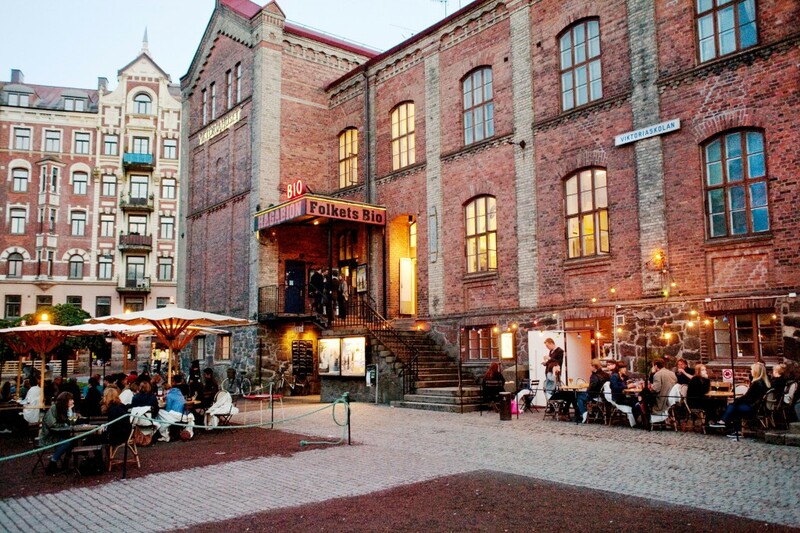 If you’re a fan of Steig Larsson’s Millennium Trilogy books and movies, Södermalm is the place to be because this is the setting for the Millennium Tour. Purchase a Stockholm Card when you’re there. Travel by bus, train and metro. And get loads of free admissions to Stockholm museums and other attractions. Gothenburg is Sweden’s second largest city and, as you would expect, has an enormous amount to offer. It’s easy to see a large portion of it in a weekend too due to its famous tram system. While the Gothenburg Art Museum, the wooden houses of Haga and the hilltop fort of Skansen Kronan are all well worth a visit, possibly the best way to spend an afternoon is touring the islands of the West Coast Archipelago. Boats are frequent and the views stunning. Alternatively, picking up a Gothenburg City Pass (315 krona for an adult, or $48) will allow you unlimited use of trams, buses and harbour ferries. It will also grant you access to museums, sightseeing tours and attractions, including the city’s botanical gardens, aquarium and Liseburg amusement park – the largest of its type in Scandanavia. There’s also a 50% discount on ferry trips to Denmark too. Café culture is also alive and well in Gothenburg. The city is noted for its laid-back café vibe and there are many lovely spots for you to take part. Trelleborg on the other hand isn’t a major tourist destination, but as a bustling port it still has a lot to offer. The ancient fort is fascinating and there are some great places to eat. It’s a short ride from Malmö, one of Sweden’s best destinations for a short break. There’s no shortage of things to do here, from the famous eight-day Malmöfestivalen to football and ice hockey matches and the beaches of Ribersborgsstranden. The more adventurous can even try ice swimming in winter! For a calmer environment there’s the Lilla Torg, a historic square that features plenty of cafes with outdoor seating and some of the city’s best restaurants. 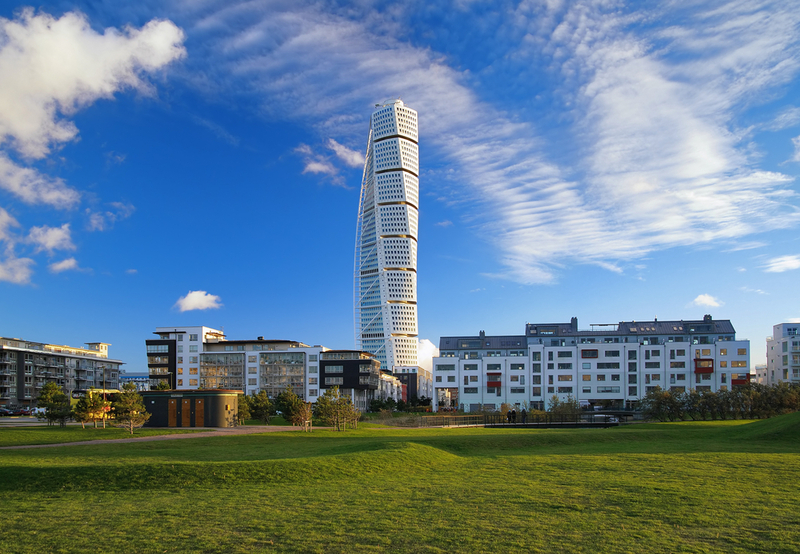 The famous Turning Torso building is also worth a look, although at 190 metres – the tallest in Scandinavia – it’s pretty hard to miss. A personal favourite however is the Kallbadhuset, a bath house with fantastic waterside views and a sauna that attracts Swedes from miles around. For those visiting Malmö via plane – you will actually fly into Copenhagen’s stylish airport then hop on a short train across the Øresund bridge to Malmö, Sweden. But it’s worth staying around in Copenhagen for at least a day. Denmark’s capital is a fascinating and beautiful city which really comes into its own in spring. Following the dark, short days of winter, many Danes like to make the most of the first rays of warmer weather by spending time outside the city’s numerous bars and cafes along the scenic Nyhavn canal. Bar-hopping at this time of year is great fun, and can be a great way to get a feel for the Copenhagen way of life. Also, there is a thriving fine dining scene, headed by Noma, three times winner of the title of Best Restaurant in the World. As you would expect, waiting lists for a table can be lengthy so book well in ahead. One tip though is that most people tend to visit in large groups so you may have better luck with a table for two. 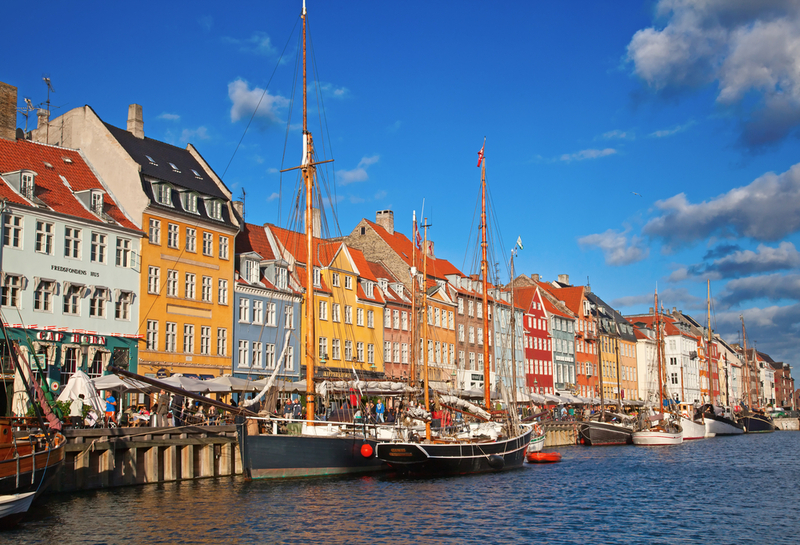 But no trip to Copenhagen is complete without a visit to the 100 year old amusement park, Tivoli Gardens or a walk out to see the famous statue of The little Mermaid at Langelinje Pier. Finish off your day with a stroll around Strøget, the largest shopping area in the city.